Work with Beer and Croissants - Kerri McConnel is the consummate professional providing exceptional exposure and ROI for your brand. Kerri and Stirling McConnel are the consummate professionals providing exceptional exposure and ROI for your brand. Do you represent a destination, a hotel, an activity or experience or a travel brand you would like to promote to Beer and Croissants readers? Perhaps you’d like to have us on a media trip or even create one for us? Simply, because you are working with business professionals not just writers. With over 100,000 supporters in our audience across all of our website and social media platforms, we know how to build and value relationships and deliver a return on investment for our clients. It’s why we have the same clients asking us to work for them over and over again. 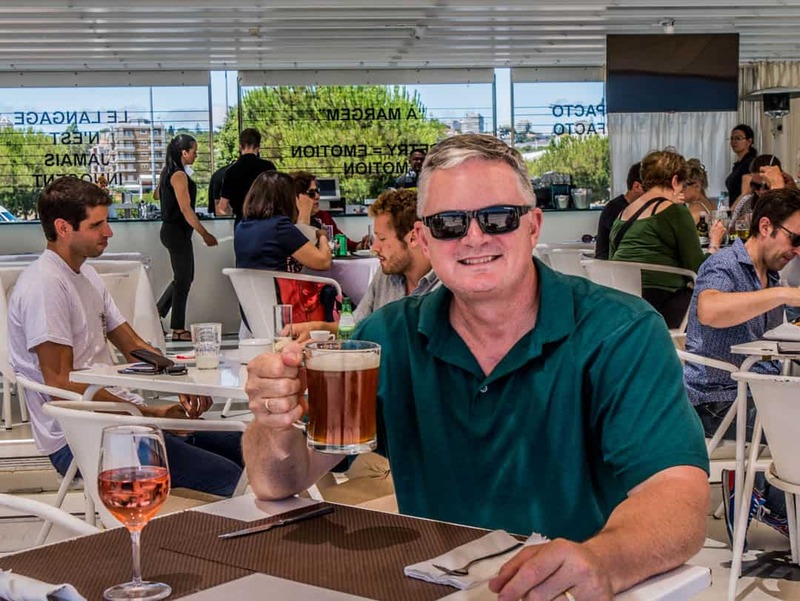 Beer and Croissants is a travel website providing tips, advice and great stories about great destinations around the world. It’s aimed at travel loving couples who are financially independent and have a degree of flexibility as to when and how they travel. Every travel adventure also has a recurring food theme and there’s always plenty of local wines and beers being sampled. We don’t just travel for travel’s sake, we experience the places we go to. These are the people who don’t mind spending their money on the finer things in life, sometimes middle of the road, sometimes luxury, but never budget or backpacker. They are independent travellers, making up their own travel plans and using their own steam to get around. This website provides them with the inspiration and ideas for where to go and how to do it. Kerri is the ultimate professional, having been a senior executive in the corporate world for most of her career. She knows how to deliver real return on investment and has a strong business mind. With an ability to provide brands with detailed and honest reviews and integrated and engaging social media promotion, Kerri always over delivers on her commitments. Stirling has had a standout career in the engineering and construction fields in roles such as Operations Manager for multi-national companies. He now also runs a successful property development business, as well as supporting Beer and Croissants with drone and SLR photography. Beer and Croissants draws readers from a wide range of platforms, including a direct subscriber base and social media. They are predominantly female, from countries such as the USA, Canada, UK and Australia, and are mostly aged between 25-55. Kerri McConnel is a breath of fresh air. Kerri has worked as a guest writer and content creator for our travel publication in the international luxury market. A consummate professional, Kerri has a broad brush when it comes to her skill set. This is evident from the initial contact with the client. Kerri has a clear passion for both travel and food. She has an enviable work ethic, launching herself fully into each part of the job from photography to long-format writing, social media strategy and delivery and SEO. She works to tight deadlines, delivering a high standard of work with a great eye for detail. She is a delight to deal with, travel with and work with. Partnering up with Beer and Croissants was the perfect way to kick off our summer season! Their social media coverage on the trip was entertaining as was the very constructive blog post published on the blog. Kerri herself is a true professional. The contact with her before, during and after the trip was as easy and transparent as it can get. This collaboration was a true success, and we hope it is the first of many. Are you a destination? Would you like to increase awareness of your hotel or resort? Do you run barge or river cruises? Perhaps you do cooking classes or food tours? We write comprehensive articles to provide your brand with exceptional coverage whilst improving awareness with our growing audience. We provide SEO-optimised content that is an engaging, authentic account of our experiences to showcase what you sell or what you do. Our aim is always to get our stories on page 1 of Google. That way you win and so do we. We are experienced in this area and are regularly involved in both group and private press trips. We are loved by the brands with whom we have worked with. Why? Because we are professional, low-maintenance participants who work hard during the trip for our clients. When we finish the trip, we work even harder, providing high-quality content and a social media promotional campaign that keeps your brand awareness at an engaging level. We always deliver on our promises. We love nothing better than to promote a product or brand that we truly love. We won’t promote anything we haven’t used or loved but if you would like to have us represent your brand, please contact us for a discussion. We are happy to feature an article written by your company or by us, provided it meets our strict and uncompromising editorial guidelines and aligns with the philosophy of our content. If you have a new product for the travel market that you know our audience would love and it aligns with what we do, we are happy to give it a try and provide an honest review based on our own travel needs. Like the look of our site and want to advertise with us. We are happy to discuss options with potential clients but any advertising and placement of links must align with our website and its content. Kerri is also a content writer and regular contributor to other websites and magazines. She is a member of the Australian Society of Travel Writers and a regular contributor to The Fit Traveller. She has also been published on Tugo, a Canadian website, European Waterways, Wild Camping magazine and Barge Lady Cruises, to name a few. Kerri is also available for editing and proof-reading. Kerri and Stirling think like business people when it comes to establishing and maintaining business relationships. This ensures all communication and negotiations with brands are conducted in a professional manner. With a strong background in business strategy, stakeholder management and communications, brands are always treated with priority and respect. Depending on your requirements, collaborations may include detailed written reviews, video coverage, social media exposure and ongoing promotion past the date of the original agreement. For further information or to discuss possible business opportunities, rates or for a full media kit, please send us an email. These are just some of the great brands and clients we have worked with.